The United Kingdom is the world's 8th biggest tourist destination. According to the national tourism agency, 2017 was a record year for the UK, with 39.9 million visits by tourists. This number is set to pass over 40 million this year according to VisitBritain, which is predicting tourists will spend a record £27 billion over the coming 12 months. U.S. remains the most-valuable inbound market, although the number of travellers originating from Europe is larger than those travelling from North America. Furthermore, in recent years there has also been a substantial increase in Chinese tourists visiting the UK. Popular destinations include London, Bath, Edinburgh and Cambridge. 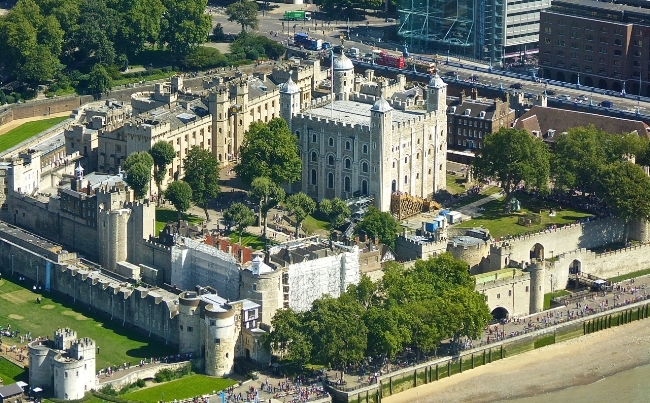 The country's principal tourist destination is still the capital, with the Tower of London being one of the most visited attraction in the country. The post Brexit fall in the pound against the euro and the dollar is helping drive visits. It’s ironic that despite only living forty-minutes away from central London and having worked there for over a decade, I have seen very little of the capitals major tourist attractions. In the past I’ve had little time for sightseeing but now I find myself in a situation where such day trips are more convenient and desirable. So today, I and my significant other decided to visit the biggest tourist hotspot in the UK; the Tower of London. As we’re both ex-civil servants we still have Health and Social Security Recreational Association (HASSRA) membership. Like many organisations of this kind, they offer a wealth of discounts, concessions and vouchers. Hence, we obtained two free tickets. Irrespective of the weather, time of year and the hefty £21.50 entrance fee, the Tower of London remains a big attraction and I was surprised by the number of tourist present. However, it does offer a lot of value as there are numerous exhibits, along with themed activities. About two thirds of the Tower’s grounds are available to the public. The remainder of the Castle is still occupied and used for various civic functions. Various military regiments alternate between guarding the tower grounds and there are several on duty throughout the day. 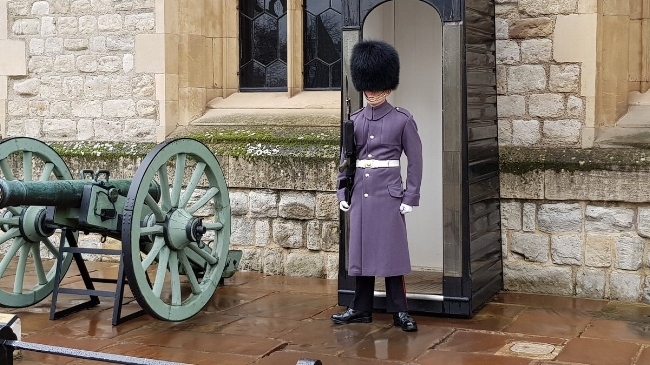 Yesterday there were soldiers from the Irish Guards on site and although they are great tourist attraction, they’re not present just for show. They are armed and should be treated with suitable deference. The White Tower is also home to the Royal Armouries, which is a fine collection of weapons and body harness. Then there’s the Fusilier Museum and The Bloody Tower with is its exhibition of prisoners and torture. But the main attraction is the Crown Jewels. This extensive collection drawn from various Monarchs is compelling and certainly attracts the biggest crowds. The Tower also regularly hosts themed events and activities such as Falconry, historical re-enactments and military displays. Due to the sheer number of international tourists that visit the Tower daily, all displays, and signage are multilingual. I initially thought that the curators were being a little over generous with their use of space and could possibly have fitted in more exhibits. I now see that the generous walkways and roomy galleries are designed that way to accommodate the flow of visitors. There are also a lot of audio visual displays that rely upon animation and infomercials to convey various historical facts. Again, this is done to address the needs of tourists that are not be fluent in English. Overall, the Tower of London successfully manages to curate and display artefacts of historical importance in a broad and accessible fashion. It is a very family friendly day out, although some of the exhibits are somewhat ghoulish. However, that goes with the historical pedigree of the castle. We very much enjoyed are day out today and have decided to plan a lot more day trips in 2018. The fact that we can get discounted or free entry to so many places is a major benefit. Our excursion was also very illuminating by showing first hand, the significance of tourism to the UK economy. The sheer number of people visiting the capital today gained context in light of our personal experience. The current political and economic uncertainties certainly do not seem to be discouraging visitors at present. In the meantime, we are already considering going to Hampton Court, Chartwell and the Joust Tournament at Eltham Palace later on in the year. If there is to be a tourist boom this year then I see no reason why we should contribute towards it.